Downed yet again, this time in Akure. Yesterday on the blog we asked for a dress rehearsal. That’s exactly what we got and not in any small measure. Before we continue, there is a scripture I like very much. “In the day of prosperity rejoice, but in the day of adversity, consider…” it’s somewhere in your bible. Look it up and you’d find it. Well guys we lost 2-1 in Akure, we lost like we have lost every away game, every single away game before this one. It seemed to deflate the joys and excitement of the win at the weekend and the #AigbogunOut campaigners have their swords out again. Nice. Honestly, I didn’t feel like posting anything this morning. In fact for the first time in a long while I felt, why do I need to roll out a blog post today? Why do I even have a blog that tends to Inspire people to keep supporting the club? Especially with the endless repetition of these cruel words aimed at the coach and players following every defeat. Why do I feel obligated to come and try to make sense of everything here everyday? Not like I’m the clubs PR representative and I’m paid to do so. What’s the point? We have watched this new team progress. We have seen this team get stronger together. We have seen this team show a willingness to achieve things and more recently, we have seen this team put up some fight. We know how in Enugu a poor refereeing decision cost us an opportunity to go two goals up. Yesterday we battled from a goal down, pulled level and then Anaemena got sent off. Yes, two Yellow Cards to the same player means a sending off but I was also alarmed by the number of players booked for dissent yesterday. Obviously they took turns to let the referee know they were not OK with what was going on. And for the first time in a long long time, Enyimba officials got into the pitch because they felt hardly done by. The three minutes added for stoppages were not even exhausted before the referee ended the game. I was not there but I’ve spoken with a couple of players. Add the fact that playing a Sunshine Stars side who have had a woeful start to the season, you probably know it was not going to be an easy game. Surely there will be some fall-out from the game. The LMC would doll out sanctions for the pitch encroachment and all and for all our grievance, I’m sure the club can channel those to the right authorities but we cannot ignore our own poor contribution to this poor showing yesterday. 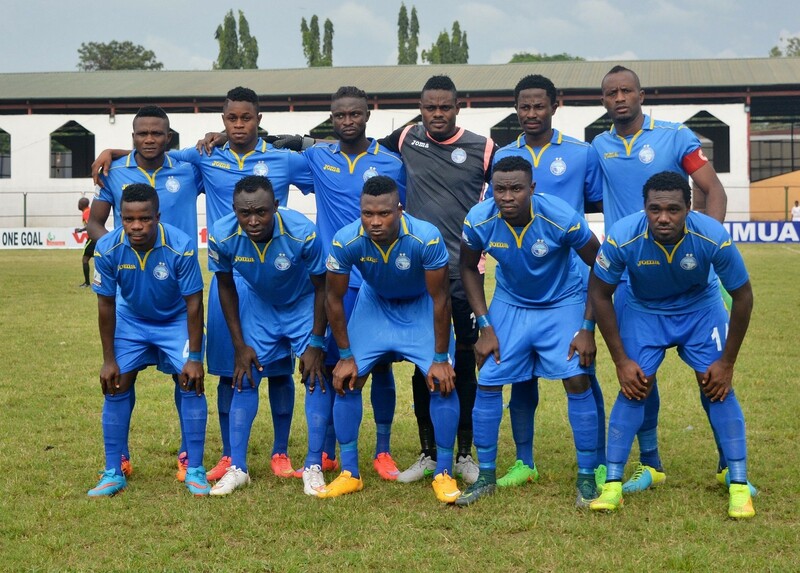 Enyimba is never going to win every game but we are going to need to improve our performances away from home. We will have to defend better and take our chances when they come. We are losing grip with those leading the pack and the more of such games we lose the more pressure we put on games coming ahead. We just have to tuck this result away with the rest of the poor results gotten away from home so far this season and move on. We don’t have time to muse or cry over this as we have the severest of tests up next. Perhaps we have just had the perfect dress rehearsal we needed.